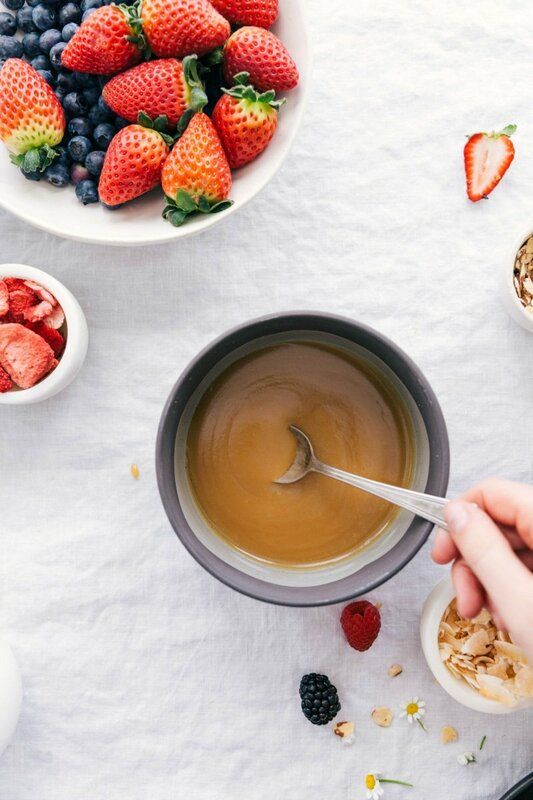 This simple stovetop vanilla sauce requires only 5 ingredients and less than 10 minutes prep time! We love drizzling this vanilla sauce recipe over bread pudding, pancakes, waffles, and french toast. It’s the perfect sauce to serve with all your brunch/breakfast favorites! Most mornings, I eat a pretty healthy breakfast – a protein shake, acai bowl, smoothie/green juice, or yogurt with granola and fresh fruit. 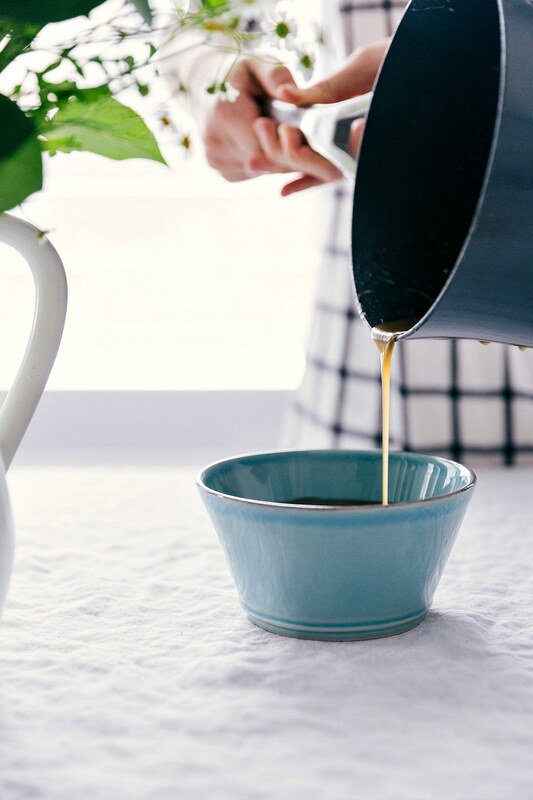 BUT, whenever I’m making a large breakfast/brunch meal (usually reserved for holidays, birthdays, or special occasions), I’m all about the sweet, syrup covered, should-actually-be-served-for-dessert kind of breakfast choices. You know, like French toast drenched in caramel dressing or crepes stuffed to the brim with nutella. Those are my special occasion kind of breakfasts. And those types of breakfasts are always in need of a really great sauce. This vanilla sauce is JUST that sauce to drench your breakfasts in. It’s smooth, creamy, sweet, flavorful, and the perfect companion for so many different breakfast ideas. So today we’re talking vanilla sauce process, how to thicken it up, and finally what to serve it over! How do you make vanilla sauce? 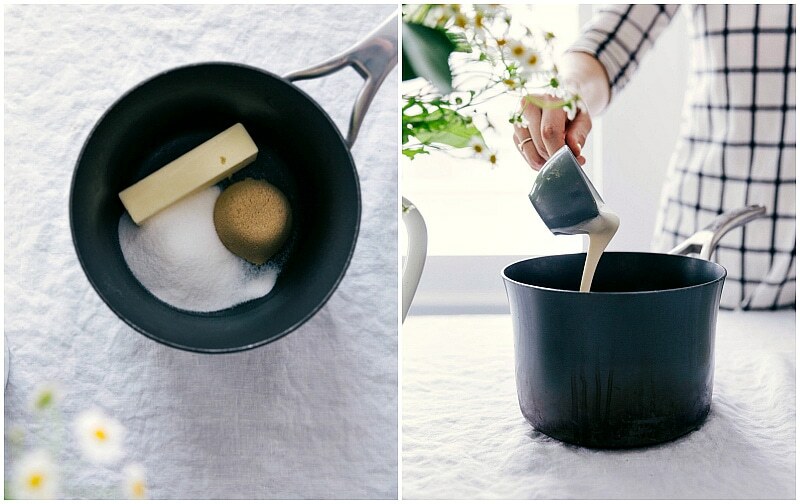 Combine all ingredients: combine butter, sugars (white and brown), and heavy cream in a small pot. Heat: heat these ingredients over medium heat, stirring occasionally for 5-8 minutes or until the mixture thickens and comes to a full boil. 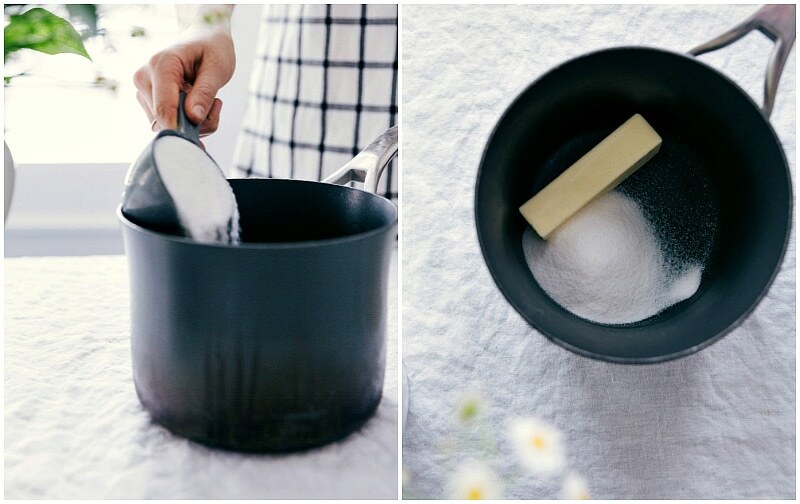 Mix in vanilla:Remove pot from the heat and add in the vanilla as soon as everything has slightly cooled. You don’t want to add the vanilla while you’re heating the mixture or it will cook out without flavoring the sauce. How do you thicken vanilla sauce? Make sure you allow the mixture to come to a full boil to thicken this vanilla sauce. As the sauce cools, it will continue to thicken. You can make this vanilla sauce with milk (whole milk only) or with half and half, but it won’t be near as thick/creamy as it would be with the heavy cream. Feel free to use vanilla bean paste or a full vanilla bean in place of the vanilla extract in this recipe. 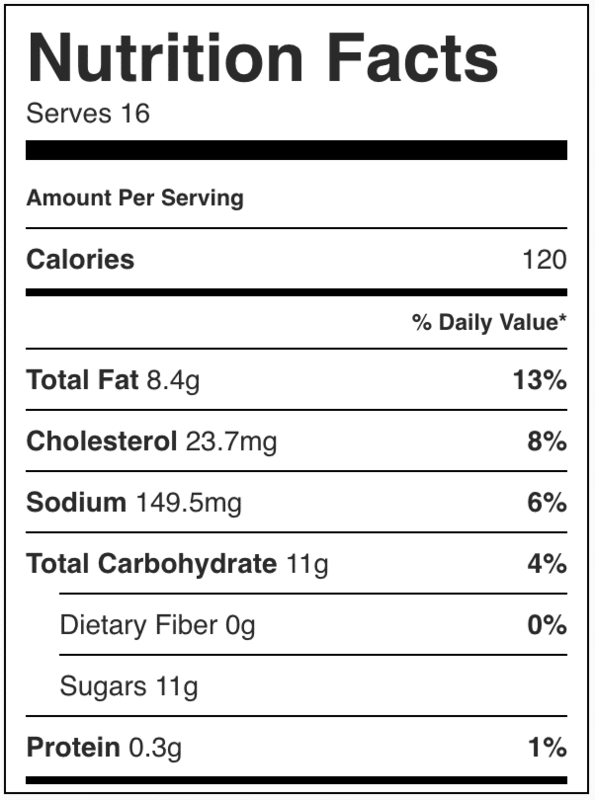 There are generally equivalency directions on jars of vanilla bean paste so consult that for how much to use. To use a vanilla bean, replace the extract with 1 full vanilla bean. To make a german vanilla sauce, check out this recipe. 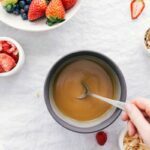 To make a vegan vanilla sauce, check out this recipe. 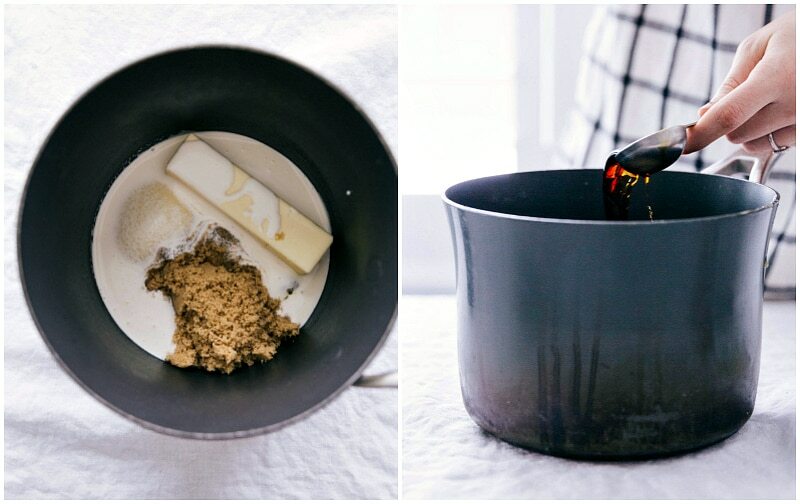 Combine the butter, white sugar, light brown sugar, heavy cream, and salt in a heavy bottomed pot. Cook over medium heat, stirring occasionally, for 5-8 minutes or until the mixture thickens up and comes to a full boil. Remove from the heat and allow the mixture to slightly cool (stir frequently). Stir in the vanilla. Serve over your favorite breakfast or dessert!